Hello everyone and happy Wednesday!! We are all still under the weather. Buddy had a follow up appointment today for his ear infection and I'm glad to report that it's gone!! Now, Tommy and I just need to get better!! So back to the reason you are here today!! Today is the start of a new challenge theme over at Pollycraft. It's hard for me to pick a favorite image, but I tend to pick up this gal a lot!! Love her and her lovely sisters of this series!! 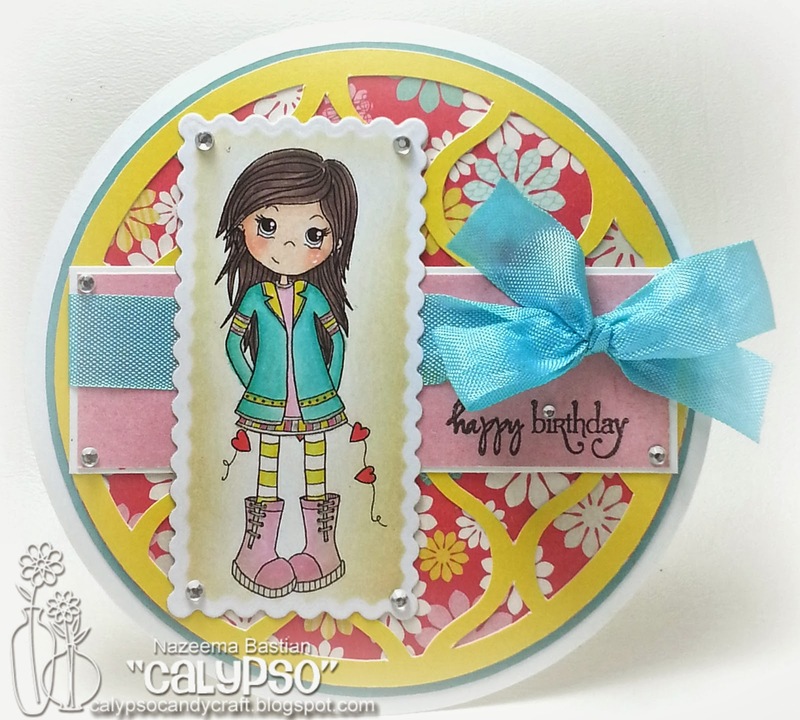 So I hope you will join us and show us your most fancy "Birthday Girl" card/creation. Remember you have 2 weeks to join the fun.